The sad truth is that the global economy has become so unstable due to a humongous level of debt (up over 40% since 2008) that there is no R*, or neutral rate for the Fed to reach. One of the fatuous goals of central banks is to place interest rates at a level that is neither stimulative to inflation or a depressant to job growth—the real interest rate where the economy is at an equilibrium. The only problem with this exercise is that the Fed has no idea what level this R* rate should be. Only a free-floating and market-based interest rate can accomplish this task. For a central bank to usurp this process is both futile and dangerous. The amount of Publicly Traded Debt in the U.S. at the start of the Great Recession in December 2007 was $5.1 trillion dollars; and the Fed’s balance sheet totaled around $800 billion. That amount of Treasury issuance has now surged to $15.8 trillion today (not counting intra-governmental debt). And yet, the Fed's balance sheet now totals $4.2 trillion. 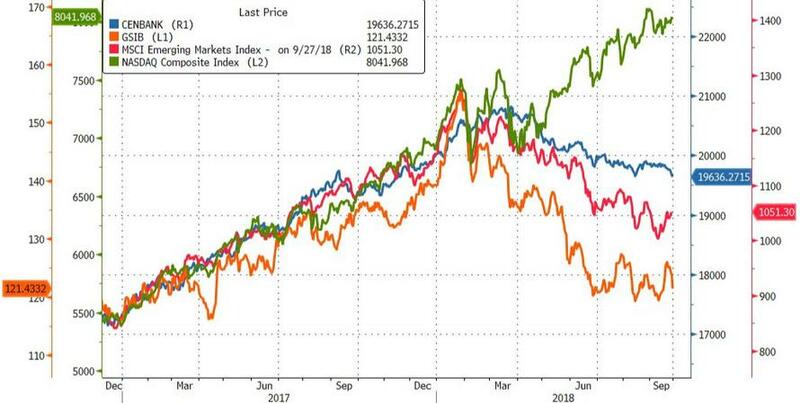 Therefore, that $4.2 trillion worth of Fed assets—an increase of $3.4 trillion--is trying to support nearly $16 trillion of publicly traded debt--an increase of 10.7 trillion! Not only this, but the fed is no longer buying any of our deficits, which have surged 33% y/y. And in fiscal 2019 (starting this October) will total well over $1 trillion per year. Indeed, rather than buying all of the annual deficits, as it did during the QE periods, the Fed is adding to the deficit by selling $600 billion of debt per year as part of its reverse QE process. When you add $50 billion per month of QT to the four rates hikes per annum you end up with an extremely hawkish Federal Reserve. 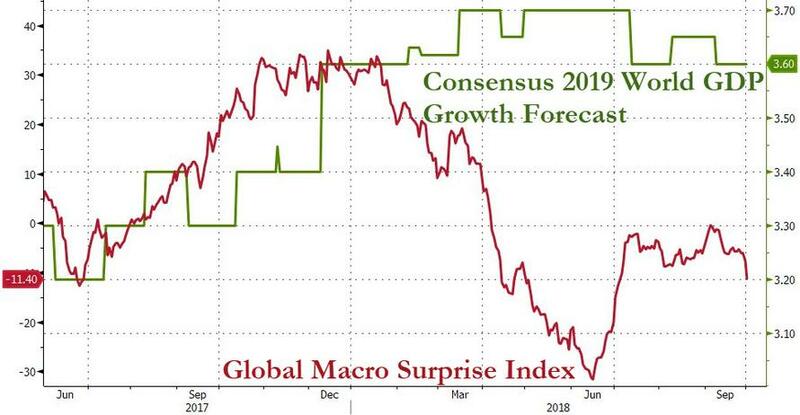 Meanwhile, central banks will keep on hiking rates until asset prices and economic growth come crashing down around the globe. 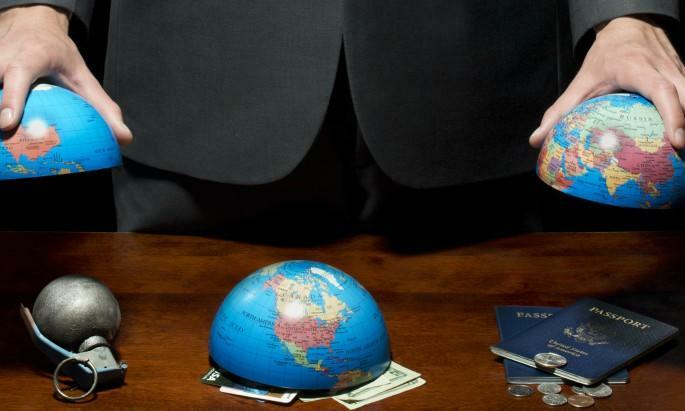 The truth is the global economy has become one giant central bank shell game; consisting of perpetually rising asset prices that have been supported by consistently falling interest rates. Interest rates that hover around zero percent have become mandatory to support surging debt loads. Now that QE is ending and interest rates are rising, the whole artificial construct has started to implode. It is now very likely that the NYSE will suffer through one or more of what is known as circuit breaker days. The NYSE rule 80B, stipulates that there will be a 15 minute pause if the market falls by 7%. It will then reopen until the market drops by a total of 13%; in that case it will shut down for another 15 minutes. And then, if the market drops by a total of 20% intraday, it will close for the remainder of that day.